Below are many different types of hairstyle trends for both long and medium length hair, which will be trending during 2014! Make sure you’re up-to-date especially if you’re a fashion diva as you wouldn’t want to get it wrong. Hair stylists have said the gorgeous braid hairstyle will be carried into 2014 as the specialty of this hairstyle is flexibility. No matter where you are and what you are doing a braid is always the best way to look beautiful and have your hair in a neat style. There are many styles when it comes to braids as you can choose to wear them in various different ways. This includes; the school girl braid, loose messy braid, waterfall braid, braided top knot, fishtail braid, side swept braid, herringbone, cornrows and crown braids. Wow that’s a lot! Moving on to the next hairstyle, which is the famous ponytail. This style is very popular because it suits all face shapes and looks brill on both long and short hair. When it comes to the various types, then there are also many that suit all styles and personalities. 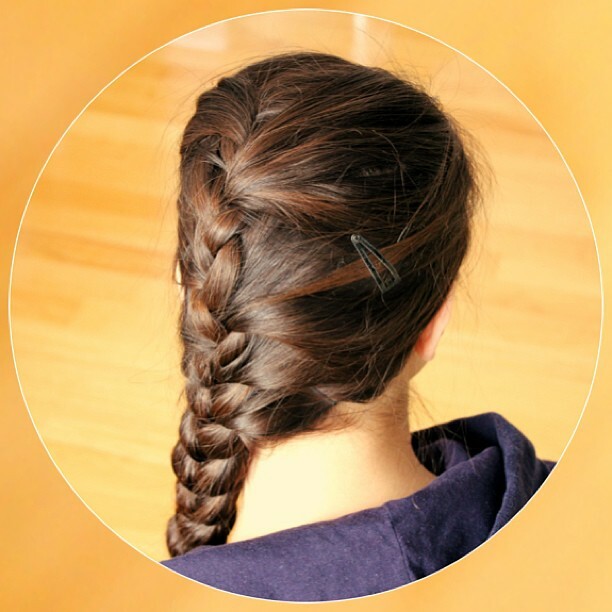 If you’re after the girl-next-door look, then the elegant and humble ponytail is your thing! A sleek, high ponytail will always look lovely to accompany you to a sporty or professional event. If you wish to soften the look, then a puff or side swept bangs create the ultimate. If you’re going for a romantic event and feeling very feminine, then a side ponytail or one in the middle with Cleopatra bangs will surely do it for you! Lastly, when it comes to casual wear, then a ponytail at the nape is the best. The loose waves hairstyle is inspired from the 90s and has been loved since. It never goes out of fashion and just gets popular with each year. The trick to this hairstyle is the big bouncy curls, which create lovely loose waves; almost looking as it if you just got out of bed (which is good!). If your hair is naturally curly, then you can enhance the look without much work by playing up the curls. However, if your hair is naturally straight, then a curling tong or curlers will help you create the look. Experiment until you get it right and find the perfect hairstyle for yourself. However, once you have there’s no reason why you shouldn’t try more. Have one for each occasion and give your hair the treatment and attention they deserve!